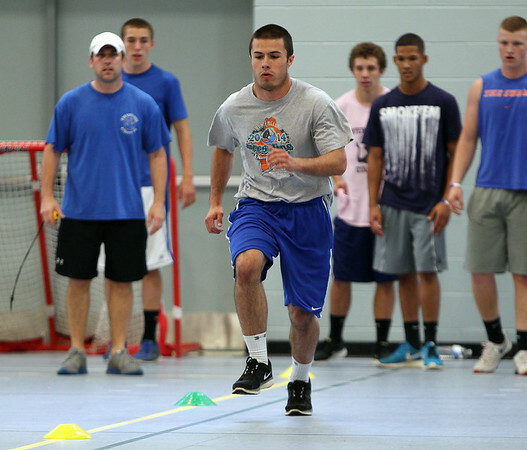 Junior captain elect Chris Behen does a sprint agility drill on Wednesday. DAVID LE/Staff photo. 6/18/14.